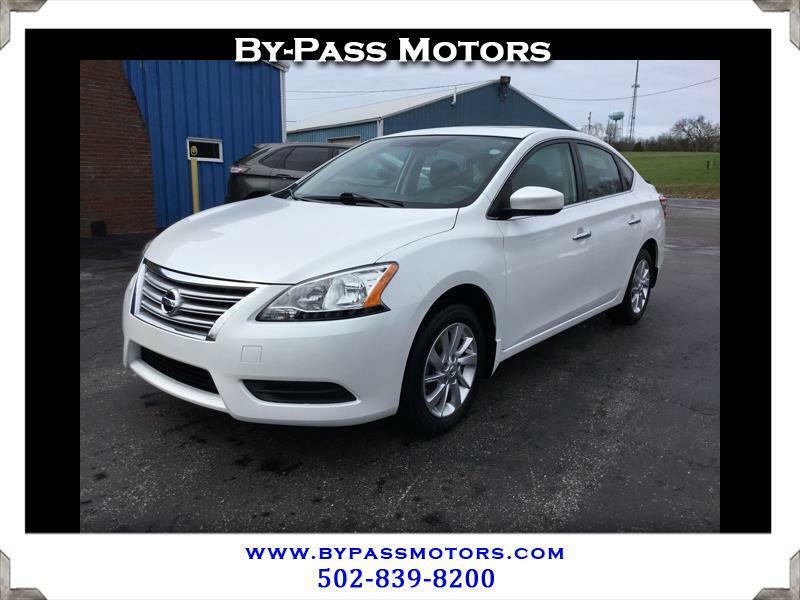 Used 2015 Nissan Sentra SV for Sale in Lawrenceburg KY 40342 By-Pass Motors, Inc. This is a ONE OWNER OFF LEASE Nissan with remaining factory warranty and service history on the clean Carfax report!!! This Sentra is as clean as they come with fresh carpets that show no staining and paint that shows like brand new. Equipped with plenty of features like a sunroof, back-up camera, Bluetooth, and SO MUCH MORE!!! We have performed a complete service on this car and it needs absolutely nothing. Come out today and take this car for a test drive before this deal is gone. We have been in business since 1989 with an A+ rating with the BBB!! !